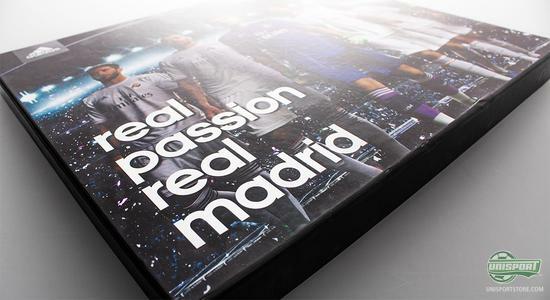 A short while ago Real Madrid launched their new home shirt, but if you missed it you can read all about it here. Adidas have really spoilt us here at the Unisport office and sent us a real treat, which really captured the attention around the place, especially the Real Madrid fans. 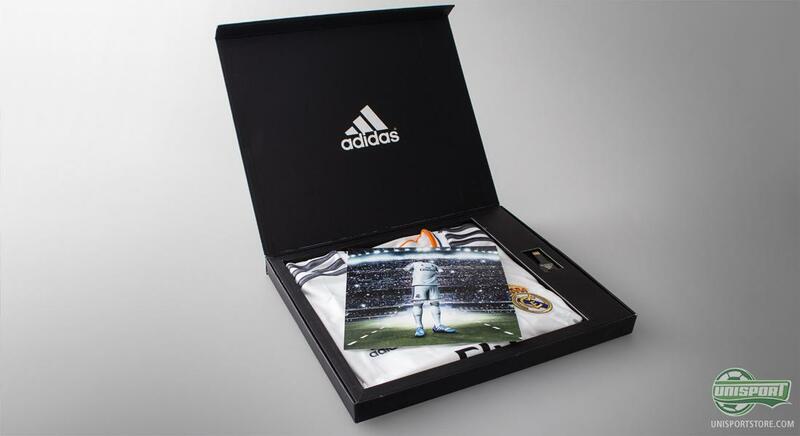 They sent us the exclusive presentation box for the new shirt, which we will be taking a closer look at here. 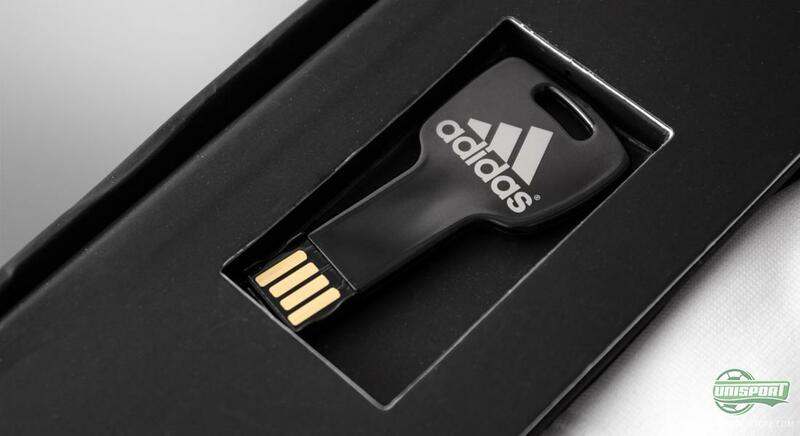 It certainly pays to be on Adidas' good side, because they often shower their friends with brilliant gifts. To follow up on the launch of Real Madrid's new home shirt, an exclusive presentation box showed up on our doorstep and we couldn't help thinking, 'if only all football shirts were this neatly wrapped'. 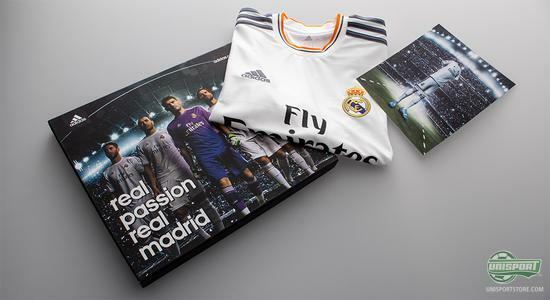 We will be keeping the exclusive presentation box, but if you're in love with the new Real Madrid home shirt 2013/14, then you can order it right here  just 64. We hope sometime in the future all shirts will be, but until then we felt it only right to share these pictures we have taken with you, so you could get a fell for the neat box. 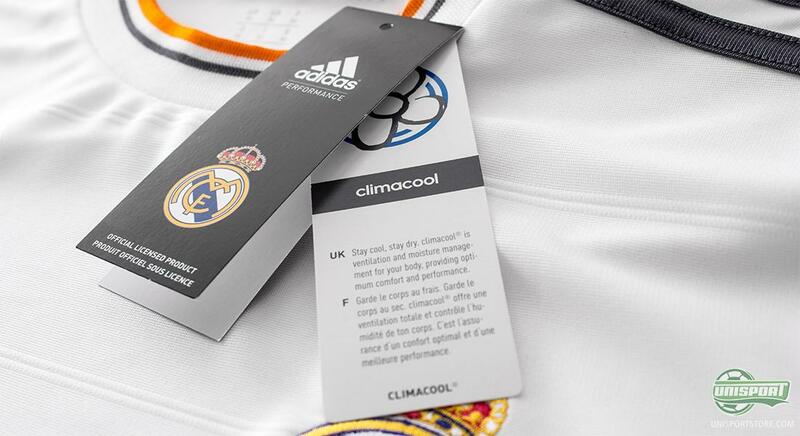 On the outside of the box, we can see some of the biggest stars in the current squad, all wearing the new kit, and even though the design is a little different, than what we are used to, we already love it. Inside the box is where the fun really starts, once we open the box we are met with the three iconic Adidas stripes, naturally the shirt too, but then also a picture of a ghost player, who is wearing the full home kit and a pair of Adidas Nitrocharge 1.0. 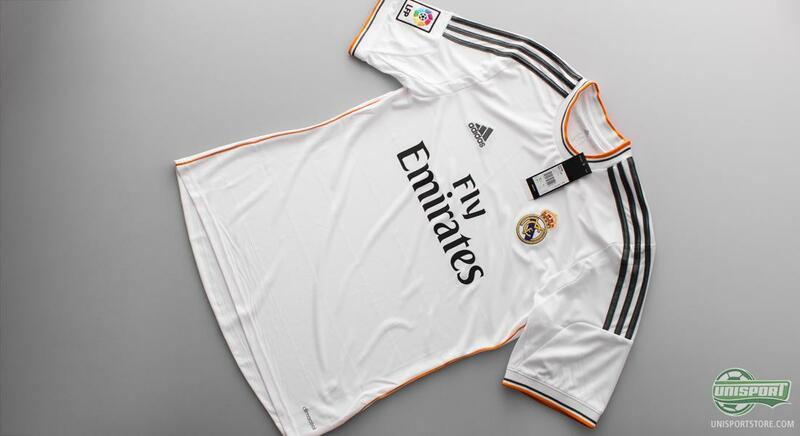 It could be that Real Madrid have done this to not give away anything, as they head into a hectic transfer season. 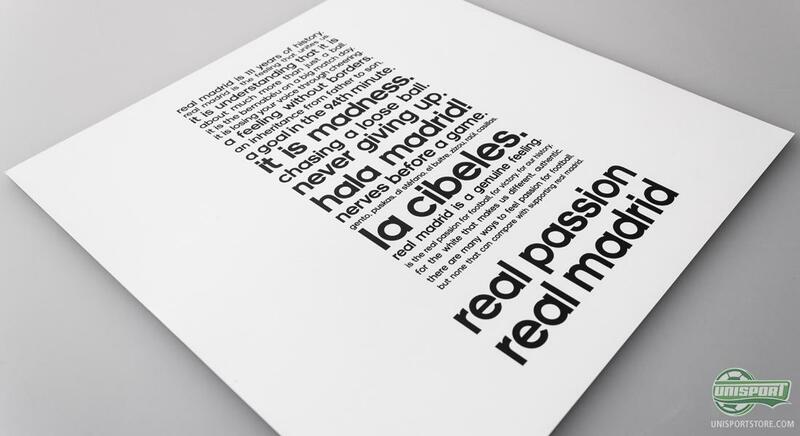 Now we are at the part, which most Real Madrid fans will nod in recognition towards. Along with the box comes a message; a very clear one at that! Real Madrid have been around for 111 years and almost every single one of those have been successful and today Los Blancos can boast and impressive fan base all around the world. The shirt is naturally the main feature of the box and it only gets better and better for each time we look at it. The orange detailing adds something ekstra and it is a twist, which really suits it. We really look forward to seeing the shirt in action, in the coming season, when Sergio Ramos, Özil and hopefully for Real Madrid, also Cristiano Ronaldo will try to bring the club trophies and success. The newest addition to the office is the exclusive Real Madrid home shirt in a presentation box and we already think it is fitting in quite well. Would you like having one of those at home? Share your comments in the box down below and join the debate on Twitter and Facebook.